I have a confession to make. It's one I've made before on this blog and something I don't mind reminding people of time and again. It's also important to remind myself repeatedly because I learned a lot from this big mistake I made as an NQT. When I started teaching, I was obsessed with ability groups. In my NQT year, I had ability groups for maths, writing and reading so pupils moved between different tables for these lessons. At first, these groups remained the same for half a term then they were changed based on assessments. Children would be disheartened and parents would enquire if their child went from Rectangles to Circles. Equally, celebrations were had when they went 'up' from Rowling to Blyton. Very soon, I decided this wasn't working and that my groups should be more flexible. 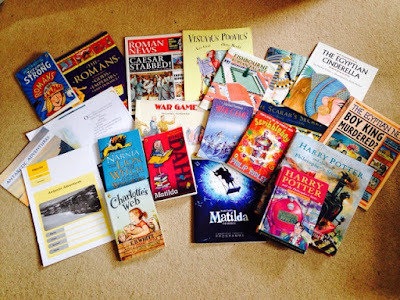 For the next year, I changed maths groups each week, abandoned writing groups and kept reading groups the same; after all, it's impossible to do guided reading with 5 different books with flexible groups. The move from Guided Reading to whole-class reading lessons allowed me to abandon reading groups. Although it felt like I was doing some really important things, in reality having ability groups was damaging for many reasons. Without realising it, I was cultivating an ethos of fixed mindsets. The children knew where they stood in the class and equally that was where they stood in my mind - very little movement or opportunities for them to go beyond where I'd placed them. Their tasks and activities were set at the right level for their table and they completed them. However there was no real personalised challenge. I was putting a ceiling on children's learning. Also, the children and their parents were acutely focused on the groups rather than the learning of the subject. This had negative consequences on children's self esteem in return for no learning gains. Having to change ability groups every week or six weeks meant I was creating unnecessary workload for myself. Within a week of being at my new school, I had completely abandoned all ability groups. Children sit at mixed ability tables for all subjects. Sometimes I specify who children sit next to in the groups and, occasionally, I've insisted they sit boy/girl/boy/girl; although this is for behavioural reasons. As I've mentioned in previous posts, we plan our lessons in a top-down format. We consider what will stretch our children who come to the lesson with the highest starting point and then plan to support the rest of the class to aim as high as they can within the same learning objective. Instead of prescribing which level of support children have, they are able to choose when they need some forms of scaffolding. This means that all children are challenged and there is a greater motivation for them because they have had an element of choice. The activity is the same for all children with different forms of support available. I often use my three-tiered tray set to help organise this. Sometimes the options for support for the activity are just displayed on the board or discussed as a class, other times I put resources to support children in the trays (e.g. word mats, sentence starters, questions, writing frames, 100 squares etc) occasionally corresponding the colours to the level of support but mostly the colours don't mean much. Children know where they can go for more support and, as much as possible, I try to ensure children can aim higher throughout the lesson if they are confident, removing supports to encourage independence. When children are completing activities, I use my time in a variety of ways. Firstly, I could be using my little Ikea stool to move around the class and support various children as and when they require some help. Early on in the year, children learn to ask for help when they know they're stuck rather than expect me to come straight to them. This is especially important for the children with the lower starting points. In ability groups, they are often very used to having adult support immediately. In mixed ability groups, they must become more in control of their learning and understanding, particularly recognising when they are stuck. Secondly, I could be targeting specific children who I have recognised that may require support in the lesson. I would aim for them, using my trusty stool, and ensure I address any misconceptions or questions. Alternatively, I may have decided to work with a specific group - it could be children who struggled in the last lesson, pupils who may require further input or announcing my help for children to come and go as they please. In my classroom, I have a small carpet area which I use for these quick interventions. Sometimes children bring their book and a pencil; other times they bring a whiteboard and a pen. My aim in these times is to ensure children become confident enough to return to their working place as soon as possible but sometimes children choose work with me on the carpet for the whole lesson. Providing they are challenging themselves and working hard, I am happy for them to complete the activity wherever. Their tables are named after Superheros and the groups are called their Super Groups. Every 3 or 4 weeks (half of a half term) they change Super Groups and they can earn Super Group points for behaviour, effort, reading at home, getting diaries signed, games etc. The winning team at the end of the time gets a prize - a box of heroes (get it?!) - to share. Every lesson is different and there is certainly no formula I use to manage mixed-ability groupings. 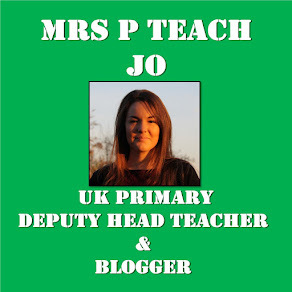 I organise lessons based on the learning taking place and what I know about the children. There are some patterns within different subject areas and, having used mixed-ability groups for a while now, it is second nature to ensure all children will be appropriately challenged. At times, this requires changing the course of a child's learning mid lesson - and those are certainly the most exciting lessons! This post has information about challenging all children. 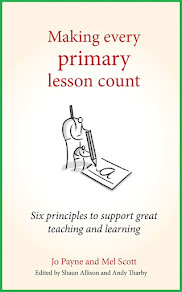 This post goes into further detail about pupil choice in lessons. In preparation for leading an INSET day in a local school about how we teach reading (whole class rather than guided reading), I did something I never do: I went into school during half term! I popped in to collect the all books we use in year four during our reading lessons throughout the whole school year to show the type of texts we use. I couldn't believe what an enormous quantity, quality and variety of texts the children in our classes are being exposed to. I also couldn't believe how heavy they were to carry! These are the physical copies we use however we intersperse these with other free texts and one-off print-outs. Some of the texts are theme/topic-related books, others are books we read "for pleasure" to our classes and there are other random ones which we link in for specific lessons or objectives. I've set out below which books fit into which category. Class Readers - these are mainly read for fun but we sometimes do one or two reading lessons based on certain passages or chapters. Topic/Theme-Related - we use these a lot for our reading lessons while we are learning about the Romans and Egyptians.